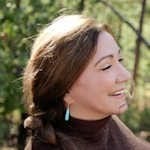 Laura Alden Kamm is an internationally respected spiritual teacher, medical intuitive, and author. Her work has spread through word of mouth, influencing and supporting tens of thousands from over 130 countries. Laura has been a guest on ABC and Fox News and featured in national and international magazines, such as Martha Stewart’s Body + Soul. She is the author of Intuitive Wellness, Unlocking Your Intuitive Power, and Color Intuition.